Aventine is the sophomore release from Danish singer-songwriter, Agnes Obel. Following her multi-platinum selling debut Philharmonics, Obel has again decided to grant herself full creative control by writing, producing, arranging, and mixing the album herself. Perhaps it’s that freedom which allows Aventine to feel so pure and impressionistic, both musically and lyrically. The album is cinematic, channeling lullabies and fairytales all within a dark and mysterious atmosphere. Decidedly slow-paced throughout, the songs follow the same piano-driven folk pop formula, but Obel’s vocals are more empowered and showcase an intensity that was lacking from her debut. Aventine is so pleasant and meditative that it will likely take repeated plays to fully appreciate its simplistic beauty. However, its mixture of romance, melancholy and darkness make it the perfect autumn soundtrack. Often categorized as ‘fairy-folk,’ Jordan Klassen has crafted a thoughtful yet playful sound in his latest album Repentance. From the twinge of the glockenspiel in the opening track “Sweet Chariot,” we are immediately pulled into Klassen’s enchanted universe where pleasant and light harmonies coexist with a multitude of different instruments ranging from guitars and ukuleles to pianos and glockenspiels. “Ranchero” showcases an eeriness to the Vancouver native’s vocals in a soft, mystical way. “Go to Me” starts off with soft chimes and ukulele, but slowly builds up and heads in a upbeat, pop-infused direction. 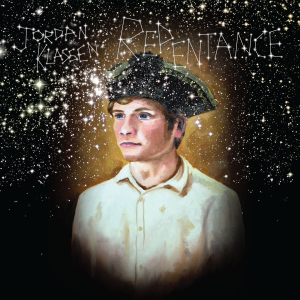 Klassen displays a maturity and youthfulness on Repentance with an inherent warmth rarely seen in young musicians. In their 11th album The Paradigm Shift, Korn return to their early days of violent, in-your-face metal that does not disappoint. The appearance of a traditional Korn album could very well be due to the recent return of Head, the group’s original guitarist who had left the band in 2005. The dreadlocked, nu-metal pioneers have distanced themselves from their previous album, 2011’s Path of Totality, which they had considered an “experiment,” as it had been heavily influenced by dubstep. The band does not completely drop the electronic elements however, they are lightly sprinkled throughout the new record in key moments rather effectively. While the lyrics are somewhat lacklustre, comprised mainly of the standard elements of the genre such as abandonment, self-seclusion and anger at societal norms, the guitar work is superb. Musically, this is one of Korn’s greatest works, and debatebly on par with their breakthrough album from 1998, Follow the Leader.